Eric works as a Director for Zenefits in downtown San Francisco. 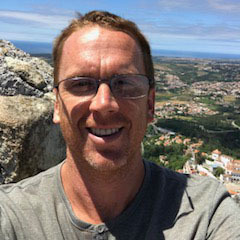 Beyond work, he most enjoys spending time with his wife and two sons, is an avid adventurer, regularly completes marathons and triathlons, and enjoys traveling the world when the aforementioned priorities allow. Eric is driven by both children and fitness, which makes KEEN a perfect fit. He deeply believes in the mission and the people who receive support and who support this amazing organization.